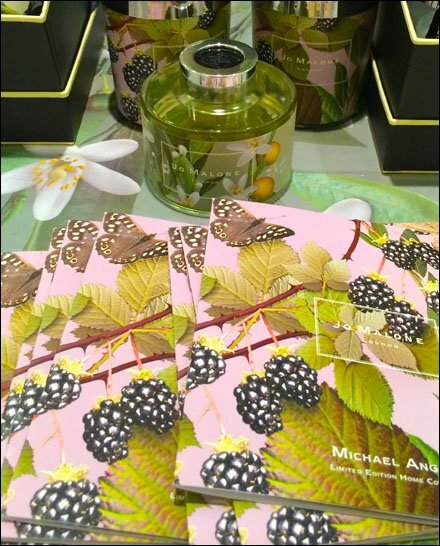 I’m not sure if these offerings by Michael Angove and Jo Malone of London are Blackberry Scented, but the berries are sprinkled liberally across much (though not all) of the point-of-purchase display and collateral. I enjoyed the Michael Angove motif so point it out to you, and that the Blackberry hails from my wife’s homeland, Armenia. I never would have guessed, Blackberries being everywhere in my childhood in the Poconos of Pennsylvania, USA.